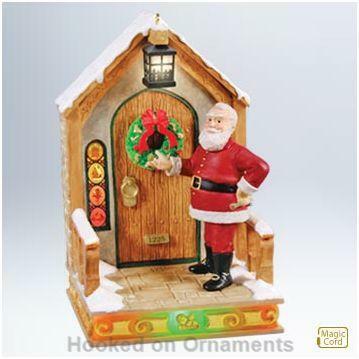 Listen to Santa get his own door ready for the holidays as the lights flash and the ornament plays "Deck the Halls". This ornament is a companion piece to the new Once Upon a Christmas series. Connect to Magic Cord (sold separately) to see warm, constant light effect. Press button to watch a synchronized sound and light show featuring all ornaments connected to the Magic Cord. Size: 3¾" x 5½" x 3"
This ornament really caught my eye. I think it is well designed & nicely colored.